When I got the call from Andrew Stawicki about Kids Who Can last summer, I was both excited and nervous. Thrilled with having been selected to be part of the PhotoSensitive team, but nervous about doing my first photo-journalism job. 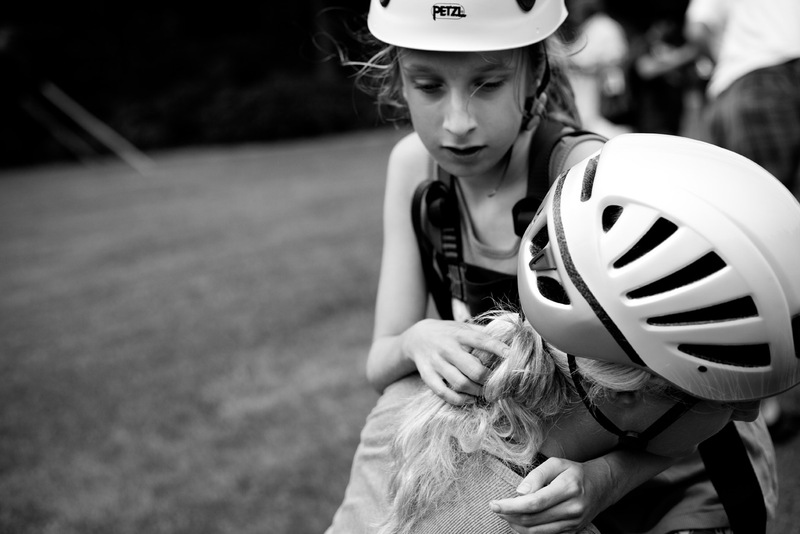 My task was to spend two days photographing Easter Seals campers for the PhotoSensitive project Kids Who Can presented by Canon. 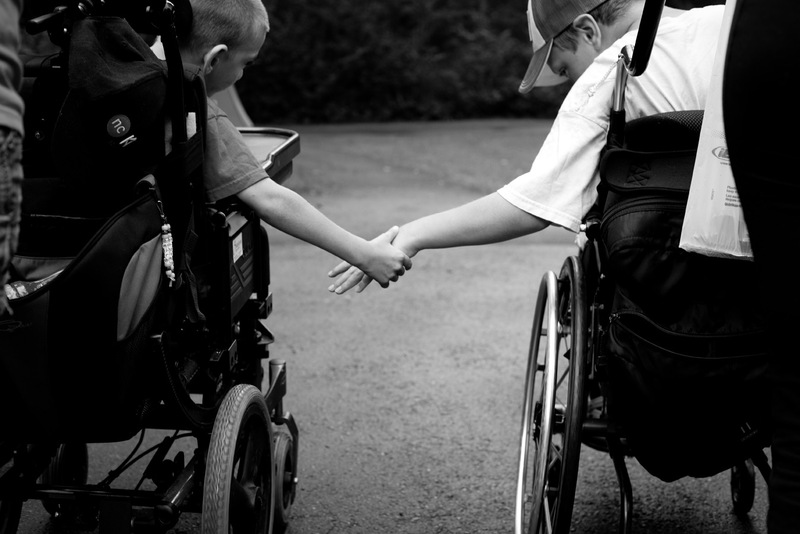 Although I had heard about Easter Seals camp as a child, I had never attended myself. My mother always pushed me to go to camp but I was totally against it. I didn’t want to be labelled by disability, or associated with disability. Now however, the more I look at it, the more I realize that there is a story here. I spent most of my time with the younger kids in the Discovery Camp program. 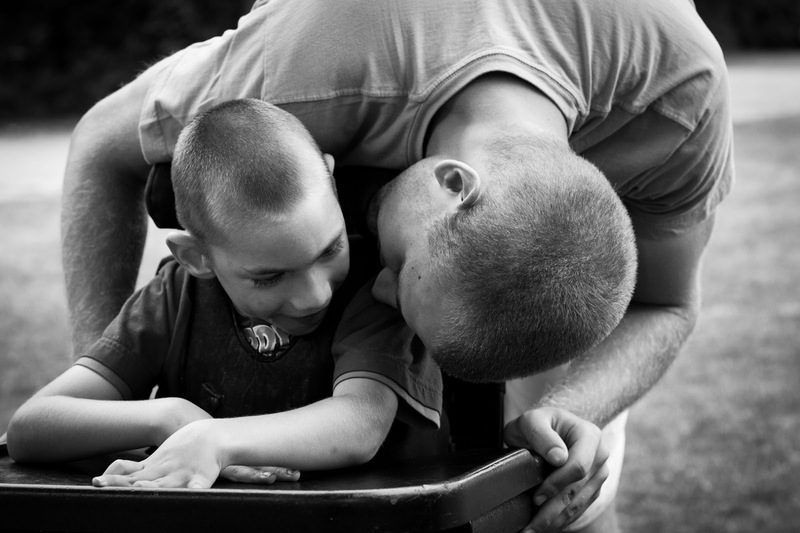 My focus was not just to grab images but, having a disability myself, it was important to me to connect with the kids first before photographing them. I didn’t want them to feel self-conscious or that I was an outsider, because I wasn’t one. I would lower the height of my wheelchair (I can do that) so that I could spend every moment with them....at their level, seeing things the way they were. Being able to do that became an advantage in my photography, I never missed a moment....so I could capture more, and at the kids' perspective. "Shooting the Shooter" (on the hottest day of the year..oh man I look so sweaty) at Camp Woodeden, ON- James Burns from PhotoSensitive. I think one reason it was so easy to connect with the kids is because I share so much with them. I know what it is like to be a kid growing up with a disability…but maybe its also because I act like a 7 year old. Wesley Magee-Saxton, left, and Cameron Purdy, right, two of a group of eight boys that I hung out with the most. They kept pulling their counselor's finger to see if he would fart. When I saw how counselors interacted with the kids, I knew this was a special place. I was so impressed with them; each so incredibly dedicated and supportive. It was the first thing that I noticed. Will. Photo by Maayan Ziv. 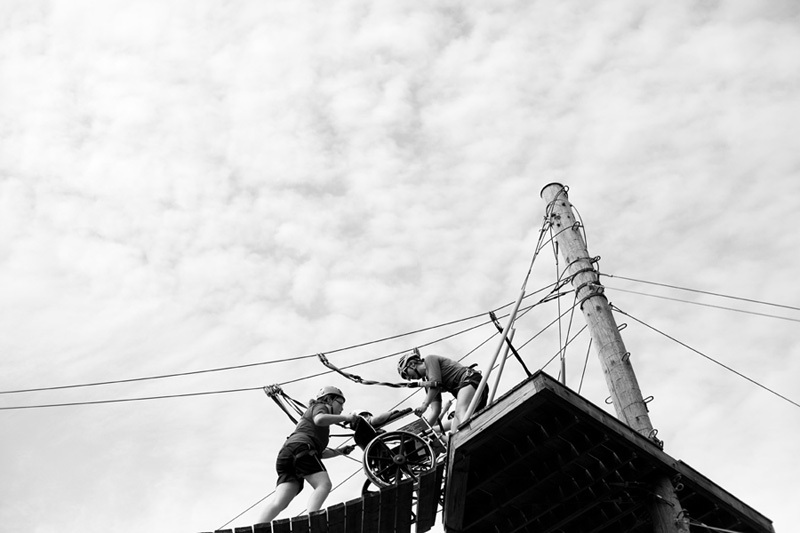 When I arrived, one of the counselors gave me a tour around the camp, it was all pretty magnificent, but when I saw the wheelchair accessible high ropes course, I thought, this is insane. This has got to be the best camp ever. That's when it really kicked in. 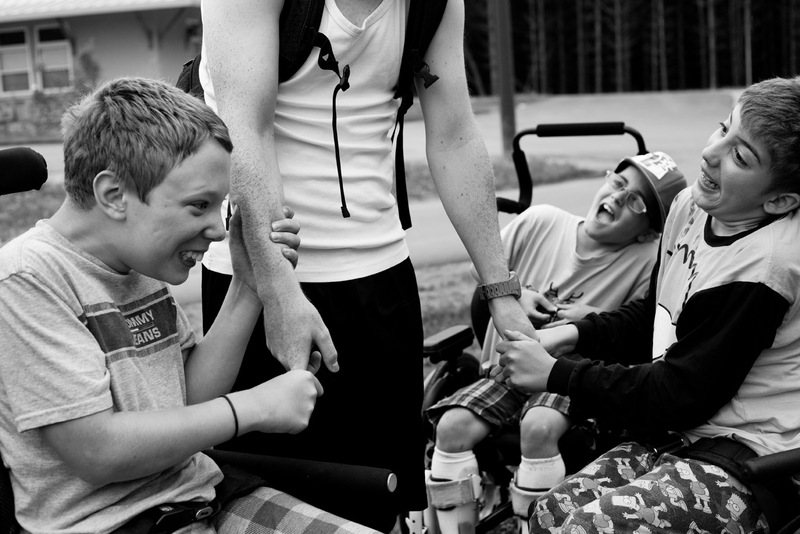 Easter Seals camp is such a great place for kids with physical disabilities to learn, grow and be supported in a positive environment. When my two days were over, I didn’t want to leave. Kids Who Can launches in Toronto from PhotoSensitive. 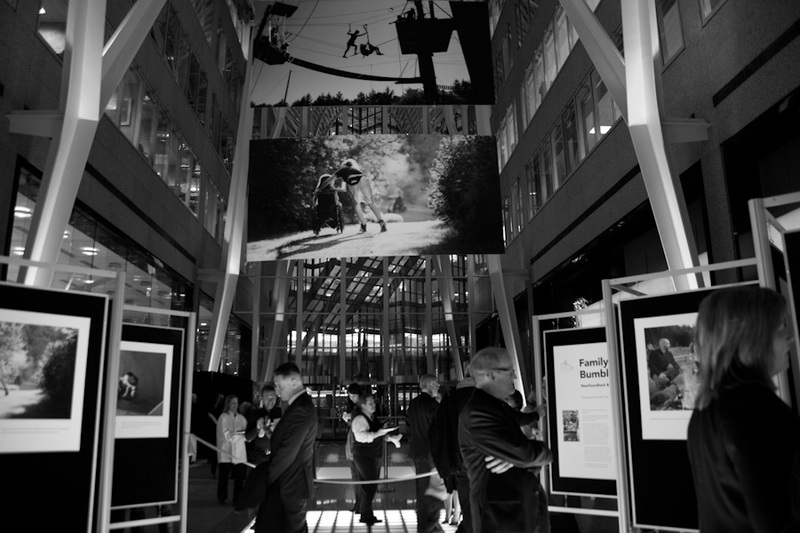 The official launch of the Kids Who Can project was on March 16th at the Brookfield Place in Toronto. Over the summer of 2011, 25 photographers and videographers were sent to 12 camps across eight provinces. The result is a compelling and thought provoking show that I am so humbled and honored to have been a part of. Here are some images from the launch. Sharing my experience shooting. Photo by Giordano Ciampini. Me in front of my work. Photo by my mama, Orli Ziv. Kids Who Can has been a project that has changed my life. I feel so lucky to have contributed to such an important body of work. 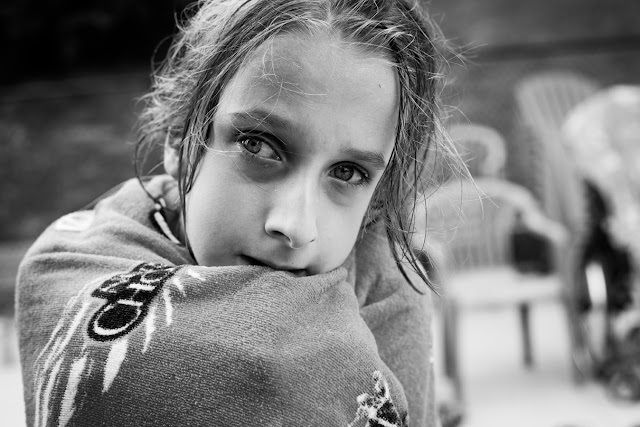 Click here to check out more of my work from my time at EasterSeal's Camp Woodeden on my website. and Click here for all the official images and video of the Kids Who Can project. Congratulations for sharing the beauty you have created, it is inspiring. What a talent. You and your photos are amazing! Maayan this is truly beautiful work. Good for you!!!! Which is best dslr Camera for wedding? How can someone become a Professional photographer? can someone tell me how to get the little avatars to appear in my comments section? thanks! Its wonderful, looking at the time and effort you put into your weblog and detailed information you provide. I'll bookmark your weblog and visit it weekly for your new posts. Good information and great post. I like the website, and am sure to keep returning. I really like the fresh perpective you did on the issue. I will be back soon to check up on new posts! Thank you! NIce article this article has been my favorite, interesting and informative article. Ex client work and i appreciate your information about the wedding flowers it's good work. Spot on with this article, I really think this website needs more attention. I'll probably be back to read more, thanks for the info. I got great information from this blog.It is very informative.. Thanks for the information and links you shared this is so should be a useful and quite informative! Maayan Ziv is a portrait, fashion, and street photographer based in Toronto, Canada.